Portable -- no mess, nothing to throw away, nothing to get on hands, etc. Save the moment with Tide to Go, the instant stain remover that helps eliminate some of your toughest fresh food and drink stains. 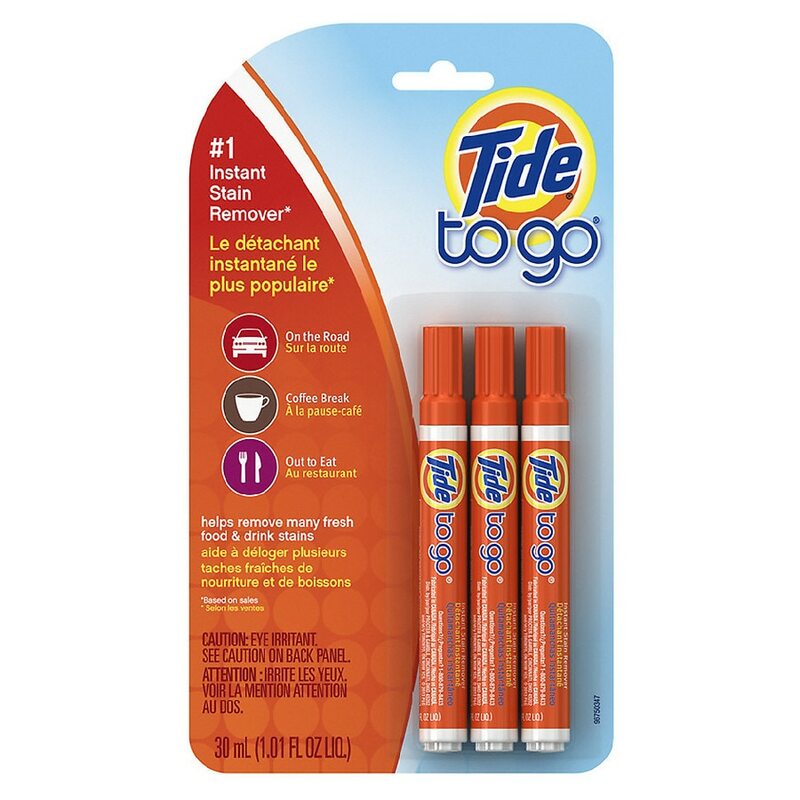 Best of all, Tide to Go travels easily to stop stains on the spot. For best results: Follow all four steps above. CAUTION: MAY IRRITATE EYES. Do not get in eyes. Keep out of reach of children. FIRST AID TREATMENT: Contains anionic surfactants. If swallowed, drink a glass of water to dilute. If in eyes, rinse with water for 15 minutes.